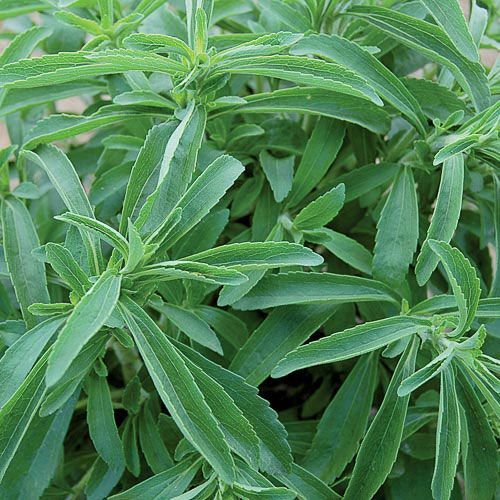 (Stevia rebaudiana) Nature’s sweet secret. Used in Japan since the 1970s when the safety of artificial sweeteners came into question. Stevia extracts are 200-300 times sweeter than sugar, calorie-free, and all natural. The FDA has approved its use as a dietary supplement. Sub-tropical plant grown as an annual. Should be protected when temperatures fall below 50F.